I hope everyone had a good Christmas. I don’t really do Christmas. But it gave me a chance to sit down and read a lot of poetry. I re-read some of Frank O’Hara’s work. Discovering him was the key that got me in to poetry in the first place. His work is accessible and mixes what some might consider ‘high’ art with what others might consider ‘popular’. So an O’Hara poem might incorporate Classical Greek mythology, allusions to Renaissance poetry, and brand names such as Coca Cola. I also read the work of Keith Douglas, a poet from the Second World War who died in France in 1944. His work is also accessible and often fun, filled with imagery and life inspired by his travels during the war. But for me, the most inspiring book was Richard Thomas’s ‘The Strangest Thankyou’, a virtuoso performance in rhyme and poetry. Richard is a wonderful poet of great skill and each word seems perfectly chosen yet without making the poems themselves seem sterile. I have seen Richard perform on countless occasions and he always transports the listener to some other place, a world entirely of his own invention. This collection maintains that feeling until, by the end of the book, the reader starts to think like him. Which isn’t a bad thing. The moment I finished reading it I thought, hmmm, now I should be writing like that. It’s a magnificent volume and I really do recommend that everyone go out and purchase at least two copies. So what’s next? I’ve got a month or so off from performance poetry matters. I’ve been working on a few new poems, but I’ve been mostly concentrating on my novel. Anyway, happy new year, everyone. 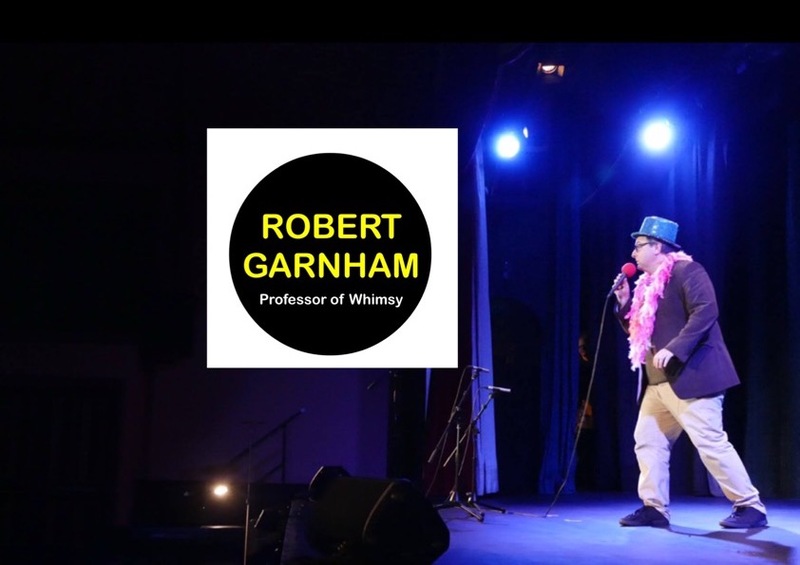 Its been the most wonderful month or so in the world of performance poetry, especially after the euphoria of co-winning the Exeter Poetry Slam with the wonderful Daniel Haynes. I saw Daniel at Taking the Mic this week backed up by a guitarist and keyboards and performing his poetry to a wonderful jazz beat. It was sublime and dreamy. Last month I went to Berlin and while I was there I took part in a German poetry slam. I was the only person there at the King Kong Klub performing in English, yet in spite of this I managed to come fourth out of nine. The audience mostly spoke English and they all laughed at the right moments. It was a weird experience. I didn’t understand a word Christian, the host, said, and some of the poems went on for ten minutes without break. In any case I made a lot of new friends. Recently I have been involved in a musical project with a load of talented people. The idea for our first song, which I call ‘Llanfair etc’, came from John Samuel, the lead singer of my favourite local band, Future Ghosts. (Known also as Future Ghosts UK due to a copyright issue). We have been working on the sonAndorra a while and it has a wonderful chorus sung by John which has to be heard to be believed! Anyway, at an Acoustic music night at Epicentre the other week, we got together with Freakboi, Bryce Dumont, and Matt Spalding, and we improvised tunes and rhymes to the audience. Matt played the Eliza Mockingham, a broom with pots and pans attached. I think we ably demonstrated our mastery of musical and lyrical form. Not long after this, Tim King, James Turner and i drove out to Frome in Somerset for the Hip Yak Poetry Shack. Matt Harvey was the headliner, but we had mostly gone for the mini poetry slam. amusingly, we got lost on the way and arrived late. we werent allowed into the auditorium, which was ok because se werent on for a while, but the box office and tuck shop staff insisted James perform for them. He did so, amiably and with his usual gusto, right there and then in the empty theatre cafe! Tim and I later came first and second in the slam, bringing the trophy home to Devon along the A303, to some acclaim! And this week I headlined at Poetry Island, at the Blue Walnut in Torquay. It was a busy night for me, hosting as well, and all of the other poets were of an extremely high calibre. Jackie Juno, Chris Brooks, Simon Blades and Joanna Hatfull to name but four. I think I did okay, though I was extremely glad when it was all over! So it has been an incredibly busy time of late for me and I am looking forward to a few weeks off from all poenamoured about. Though I shall probably be making a couple of videos and posting them here and there. Thanks to all of my wonderful friends this year for all of their support and laughter!